Allen Lottmann Kimmel PC offers Estate Planning, Wealth Migration Planning, Business Planning and Business Succession Planning, Elder Law, Guardianships, Probate Administration, Probate Litigation, Trust Litigation, Estate Litigation, Mediation in Tyler and all of East Texas. 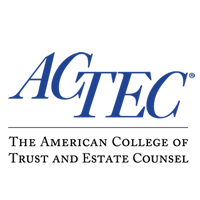 From their offices in Tyler, the experienced attorneys at Allen Lottmann Kimmel PC provide individuals and families throughout East Texas with exceptional representation in the full range of estate planning matters, as well as a variety of related business planning and elder law work. For details about the full scope of our services, please visit the practice areas overview. 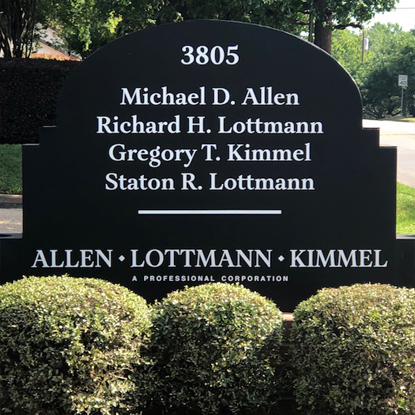 At Allen Lottmann Kimmel, we are committed to helping people and businesses plan for the future, guiding them through difficult times when unexpected incidents arise, such as the loss of a loved one. We are a boutique law firm focusing on very specific areas of expertise, allowing us to provide the highest quality legal representation to each client we take on. 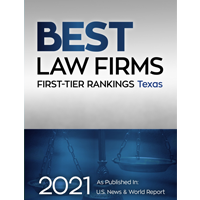 Firm partners Michael D. Allen, Richard H. Lottmann and Gregory T. Kimmel possess more than 90 years of combined legal experience and have established a distinguished reputation in the local legal community. Mr. Allen and Mr. Kimmel are board-certified as Specialists in Estate Planning and Probate law, and a fellow of American College of Trust and Estate Counsel (ACTEC), a nonprofit organization comprised of the nation's premier trust and estate counselors. 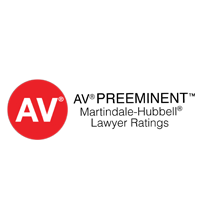 In addition, Mr. Allen, Mr. Lottmann and Mr. Kimmel are all recipients of Martindale-Hubbell's AV Preeminent peer rating, signifying the highest levels of professional excellence and ethical standards, as well as the “Best Law Firm” Rankings in U.S. News - Best Lawyers Edition. We are dedicated to providing reliable, compassionate legal counsel to clients across East Texas. 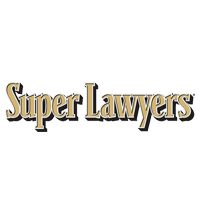 If you need assistance in an estate planning, probate, or related business or elder law matter, we can help. To schedule an appointment with one of our qualified lawyers, contact Allen Lottmann Kimmel PC or call us at (903) 534-0006. Based in Tyler, the attorneys at Allen Lottmann Kimmel PC represent clients throughout East Texas, including in Smith County, Gregg County, Henderson County, Harrison County, Anderson County, Van Zandt County, Cherokee County, Rusk County, Wood County, Tyler, Canton, Lake Palestine, Emerald Bay, Hideaway Lake, Holly Lake, Lake Fork, and Cedar Creek Lake.